Local authorities believe that, in the worst-case scenario, up to 100,000 people may have to be evacuated from flooded towns and villages in the affected area. 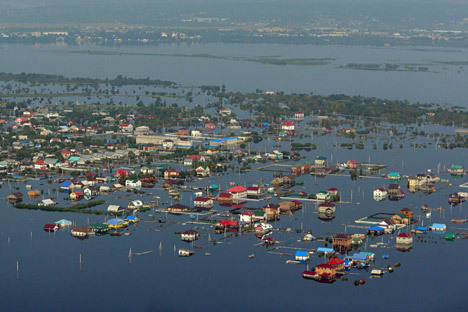 Russia’s Far East has fallen victim to unprecedented flooding that is far worse than its oldest residents can recall or since records began. The afflicted area covers 400,000 square miles.